Tudor Griffiths, one of the UK’s leading independent supplier of construction and building supplies, ready-mixed concrete and waste management solutions has purchased the industry’s latest mobile all metal separator, the Steelweld Strobe ECS 1500, for its business units TG Aggregates and TG Waste. 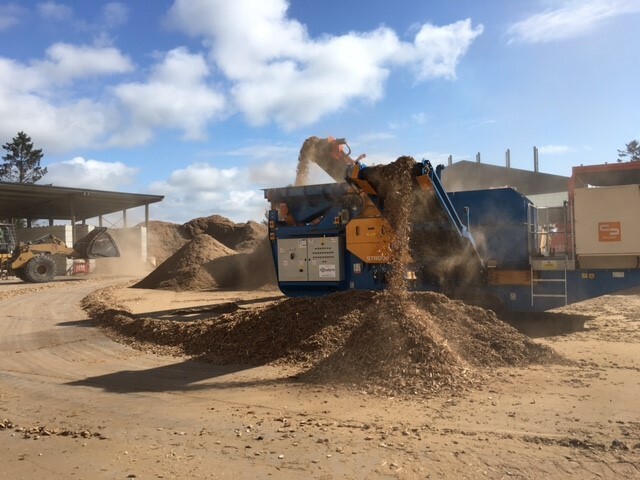 Exclusively sold in the UK by leading materials processing equipment distributor Matpro Machinery, the state-of-the-art mobile all metal separator will process a variety of recycled materials at its recycling facility in Ellesmere, Shropshire; serving to produce both metal-free secondary aggregates and metal-free shredded wood for use in biomass. As part of the procurement process, several metal separators were trialled at TG and the Strobe was identified as the most practical for the operation requirement for a variety of reasons.